H23s Deep dark teals to blue greens. H23S All you need is teal. 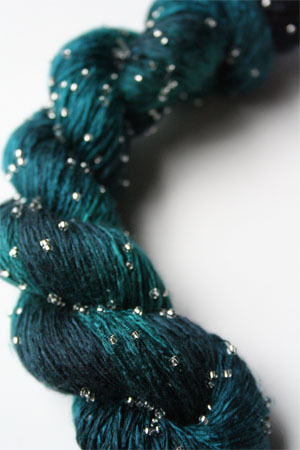 Of course, you need about 5 or different tones of teal - then, you've got a masterpiece in knitting or crochet - this yarn will do your project justice. Need a large quantity or a special color/bead combination? Special order what you need here! 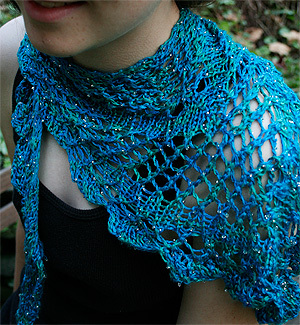 The Nefertiti Shawlette - One skein, super easy, free knitting pattern is an instant download. 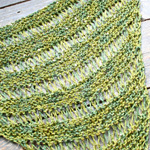 A free 1-2 skein project Ebook that includes the shawl shown below, Alyssa's beaded shawl (in H26 with Silver Beads) comes with every purchase!